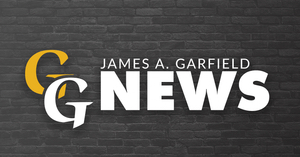 What an exciting time to be a part of the James A. Garfield School District! Our school year has gotten off to another great start with our teachers, students, and families. We’re starting the second year of The Leader in Me curriculumthroughout the elementary school. The LEGO Robotics teams are up and running. Our Student Leadership Team is planning events throughout the year. The 5th graders are making plans forthe annual Camp Fitch field trip. Student-directed video announcements happen every morning, we have therapy dogsthree days a week, our choir and band sound great, and that’s not mentioning all the great work in the classroom and at the Middle and High Schools. Now that the year has started, we wanted to reach out and encourage you to use us as a resource in the partnership to educate your children. All of us at the elementary school — teachers, custodians, support staff, and administrators — are here because we love working in education. We consider it a privilege and honor that you have trusted us by sending your children here. Our contact information is below. Finally, we hope you are planning to vote on Issue 8 in the upcoming election, which will help us determine how our school finances will be determined in the next decade. The future of the James A. Garfield school district will be decided on November 6. What direction would you like us to go? We need your voice and your input. Please plan to vote on November 6. COPYRIGHT © Garrettsville Chamber of Commerce 2019. ALL RIGHTS RESERVED.